We present a novel approach to mesh deformation that enables simple context sensitive manipulation of 3D geometry. 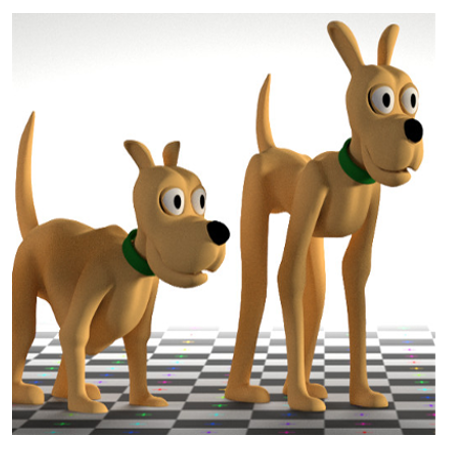 The method is based on locally anisotropic scaling. This allows an intuitive directional modeling within an easy to implement framework. The proposed method ideally complements current intuitive sculpting paradigms by further possibilities of surface based editing without the need of additional host geometries. We also show the anisotropy to be seamlessly transferable to free boundary parameterization methods, which allows to solve the hard problem of flattening compressive garments in the domain of apparel development.